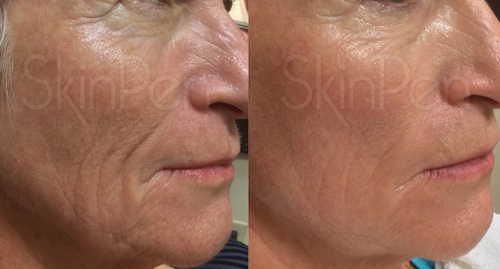 SkinPen Precision is a microneedling procedure for the treatment of Anti-ageing, wrinkles and scars. As the skin ages the natural architecture of our skin deteriorates. We use an anaesthetic (4% lidocaine gel) during the treatment. A patch test will be required 24 hours before the treatment. Full recovery takes 3-5 days for skin remodelling of collagen and hydration to return to normal. 2 serums will be given to you to apply the following day after the procedure and until the skin returns to normal. 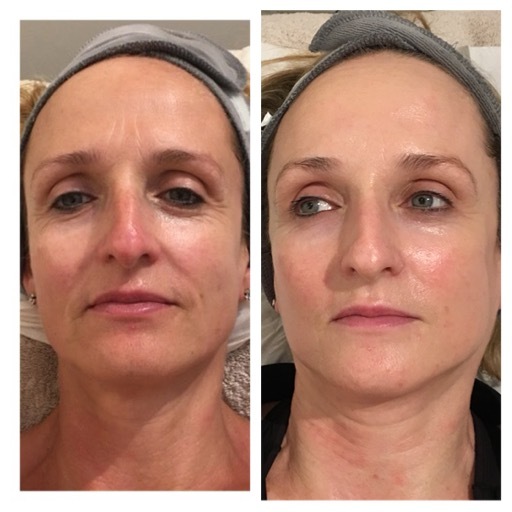 For optimum results and complete Collagen formation we recommend a course of 3-6 treatments and true results can be seen approximately 5 months after the procedure. Full skin and medical history details will be taken upon consultation as well as a patch test, and an aftercare sheet will be given post-procedure. Please telephone us on 01395 269159 to arrange a thorough skin and treatment consultation. You will be very red (like a mild sunburn) so most clients have the procedure in the afternoon when they can go straight home. Full skin and medical history will be taken upon consultation and an aftercare sheet given post procedure. Nothing is “injected into the skin” and collagen stimulation therapy is natural, controlled wound healing so reactions are unlikely. We follow strict sterilisation and treatment protocols to ensure a safe and healthy procedure. My skin is lovely and smooth and wrinkles diminished. Had no problems with going “out and about” today as the Jane Iredale makeup did a great job of covering the post pen redness! I have had two treatments and can see a difference in the texture and firmness of my skin. Marked results are meant to happen after 5-6 months, So I am looking forward to Christmas for once. Thank you again Sue. From my personal experience “Serenity“ means just that. The clinic itself has a beautiful, calm and welcoming atmosphere. Being in Sues company is a “treatment“ in itself. She is such a wonderfu , warm giving and caring person. She has the ability to make you feel very special and very pampered and is a very calming influence. I have had a course of Skin Pen needling. My skin was in desperate need of attention, due to some very trying times in my life and my face had suffered. My skin was dull, lifeless and saggy. After my 6 treatments my skin was transformed. 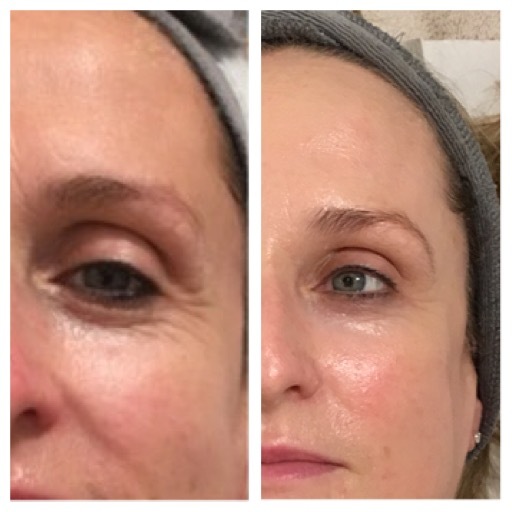 You can start to see the improvement after just one session, after a week my skin began to glow and felt so much firmer. It gave me so much confidence. I also use Environ and Image skin products from Serenity and I can see the difference in my face with continued use. With the continued support from Sue and the products and treatments I feel I can slow down the ageing process of my skin. I would highly recommend Serenity to anyone seeking help with their skin. You will receive a 1 st class, very professional service. Thank you Sue. Q Who is SkinPen microneedling for? A Clients concerned with ageing, lines and wrinkles, open pores and scarring. It is extremely effective on face, neck and décolleté and is safe for all skin types light to dark. For beautiful, lasting results. A Not at all, as we use a 4% lidocaine anaesthetic gel to numb the area first. This is left on approx. 30 mins before we commence treatment, and then removed. 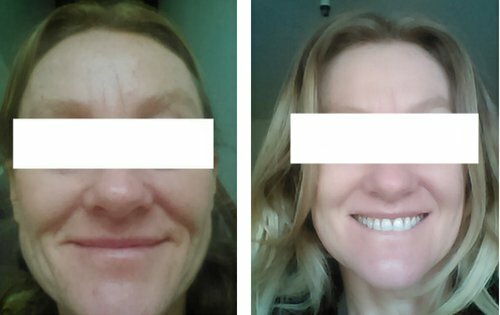 Q How will I look immediately after the treatment? A You will look red (like a mild sunburn) and your skin will feel tight. A hydrating serum will be applied and a calming rescue cream, these will be given to you to use for the next 3-4 days post-treatment. Q When will the redness subside? A Normally the redness will reduce considerably within 12-24 hrs. Q Should I apply an SPF the following day ? A Absolutely and this should be part of your skincare regime every day of the year. Not only to protect you from the sun, but also from collagen breakdown. Q Can I wear make up the next day after the procedure? A Yes you can. We sell and recommend Jane Iredale mineral make up as it optimises skin health and is chemical free. Q Can I exercise after the treatment? A No, please don’t exercise for at least 48 hours post-treatment. A full pre and post-treatment sheet will be given to you during consultation. Q Do I need to change my bedding? A Yes please, especially your pillowcase. Q Can I touch my face? What about pets? A Please do not touch your skin after the procedure and no pets should go near your face or treatment area for the following 12-18 hours.